Street lights that will be part of the ring road construction will light up the night, but also blind wildlife and the Rothney Observatory. 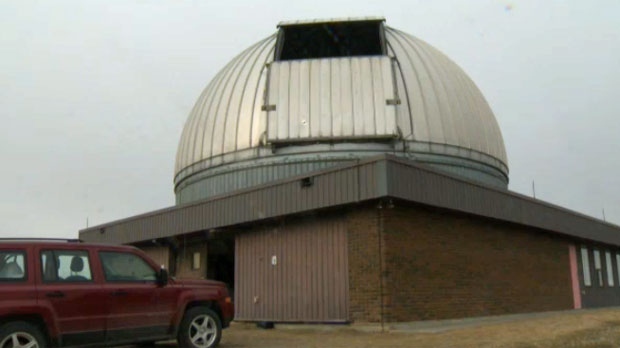 The observatory near Priddis has been part of the landscape south of Calgary since the 1970s, but as the city grows, supporters fear its days are numbered. “We tend to be overzealous in our use of light and I think that educating people about why we need light and using it smartly will reduce the amount of light people employ and will add years and years and years of longevity to the observatory,” said Phil Langill, University of Calgary astrophysicist. The observatory is operated by the University of Calgary and scientists say important work could be impacted by light pollution. “No other university-run observatory has the amazing tools that are here in the Rothney and I’m not sure what to do with it after that,” said Langill. The Ann and Sandy Cross Conservation Area nearby is also concerned about the impact. It's the first nocturnal preserve in Canada, where dark skies help preserve natural processes. The land was donated to support wildlife conservation, an objective that is now threatened. Dark sky supporters say they understand that the road needs to be built but say that there are alternatives to traditional street lighting. “Different times of the night when you can dial down the lighting so you are not ever reducing the lighting to zero, you are still thinking about safety but maybe you don’t have to light it up to the extent you do,” said Suzanne Oel, MD of Foothills. “That technology is available in Europe and they are insisting on it on some of the highways that they are constructing, we just have to realize that sometimes things cost a little bit more money and a little bit more research has to go into it but long-term it’s to everyone’s advantage,” said Shyba. The project manager for the ring road tells CTV that the section near Priddis will have a less reflective surface than many other sections, the light standards will be shorter and LED lights will be angled straight down, but he emphasized that safety is the priority. 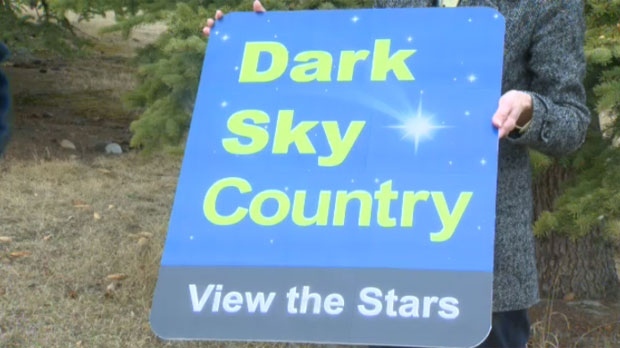 Dark sky supporters said they will start a sign campaign south of Calgary to raise awareness of the issue. The Rothney Observatory may have difficulty looking at the night sky due to light from the ring road. Signs like this one will start popping up south of the city in support of reducing light pollution.